A chill has begun to creep through the air, and though the crisp winter wind doesn’t bite quite as hard as deathclaws, it does serve as a sharp reminder that the holiday season is just around the corner. We could imagine, though, that with all the irradiated creatures to fight and faction wars to settle, you may have been a bit too preoccupied to notice, so we’re here to help! In this handy-dandy gift guide, we’ll give you ideas of some things that you can find lying around on the tabletop that will serve as perfect gifts for each of your favorite Fallout companions. More of a Lone Wanderer? No problem, you can just keep them for yourself! However you choose to spend the holidays, the fun surprises below are sure to warm your heart, even in the chill of the nuclear winter. When something scary comes your way, this is the friend you hide behind! She's rough and tumble and won't take *chomp* for an answer. Since you're doing so little to help, why not help her take on the terrors with some solid Combat Armor. Oh, she's your new sister-in-law? Better step it up. We hear Power Armor is impressive. While some folks like to go through life with guns blazing, this guy prefers to suit up and schmooze his way out of even the stickiest situations. We recommend some suave pre-war Formalwear to make him the most dapper, death-defying dude out there! You don't actually remember how you met this friend and you can never get a hold of them, but they've spontaneously saved your neck enough times that you feel obligated to include them in this year's round of gifts. But you're not really that close, so a Singed Duster should do the trick. Plus, it's got a cool, rugged vibe your buddy will appreciate. It can be hard to know what to get for the computer lover in your life because they can program just about anything they'd bother to spend time on. Even the most tech-savvy among us need to prepare for the horrors of the wasteland, though, so how about a glowing, futuristic Plasma Gun. It's pretty much the same as a computer, but it also shoots bad guys! You can barely get him to leave the house because he wants everything to be just so. And you know he can't leave without his backpack and his Stimpacks and a few extra caps because "you never know when they'll come in handy". But this guy's attention to detail comes in handy more often than you'd ever expect, so why not give him a tidy way to take down those messy monsters from a nice safe distance: a Sniper Rifle. Heck, we'd take one. Got room on your shopping list for one more? It was nice of you to give cool armor to your tough Commando friend, but you know what the folks on the front lines could really use? Super scary weapons! Like the Shishkebab. It has flames and a very long blade and it's very accurate and please be careful when you wrap it because it's also very dangerous. Don't say we didn't warn you. You know that friend that's always talking about his dogs and what his dogs did yesterday and what kind of careers his dogs want (I'm looking at you, Derek)? He thinks dogs should be allowed everywhere, so isn't it fortunate that they're not all that picky about enforcing pet regulations in the Wasteland! So to introduce a little canine companionship back into his life, why not bring him on over to Red Rocket to introduce him to our good friend Dogmeat! For your friend who has an unlocked smartphone: actual robots! Thanks to RobCo's pre-war technological advancements, the Wasteland is swarming with brilliant machines who can do anything, from protecting you to producing Chems. If you can get on their good side, Curie, Protectrons, and Loadlifters live to carry out their clever codes! There are leaders and there are followers, even in the post-nuclear world, and this friend is the ultimate leader. They call the shots, they go their own way, they allign themselves with the best of the best. For this friend, we recommend an introduction to the post-war power players, like Paladin Danse or Preston Garvey. While they won't hesitate to ask for help, their many requests will offer exceptional opportunities and these guys have some exceptional connections! Always with their nose buried in a book, this friend's biggest problem with post-nuclear life is that Super Mutants and Raiders have no respect for peace and quiet. One gift you might consider is guarding the door for a couple hours so they can just finish the latest page-turner already, but you could also give them something new to read, given that most books burned in the blast. Thoughts: a classic issue of Grognak the Barbarian or a copy of the newer series, Wasteland Survival Guide. Because so few things survived the nuclear war, many Wastelanders have taken to picking up just about anything that isn't burned to a crisp. Collecting these various items can actually make quite the distracting hobby! Got some Junk lying around? Well you know what they say… one man's tin can in another man's treasure! And when all else fails, Caps always make a welcome gift. If the residents of Diamond City can still make time to decorate their post-nuclear homes for this festive season, maybe we too should consider making time for a little holiday cheer. Fortunately, we have one gift that any Wastelander would love to find in the ruins, and it's available now. 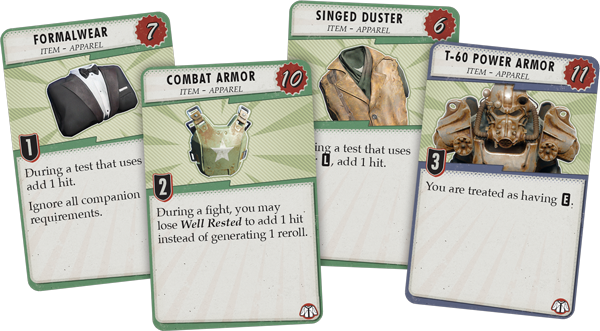 That's right, you can get your hands on Fantasy Flight Games' tabletop training module, Fallout: The Board Game today! Whether you're buying for a well-worn super mutant or a jumpsuit-wearing smoothskin fresh from the Vault, they'll delight in the opportunity to explore the Wasteland time and time again! 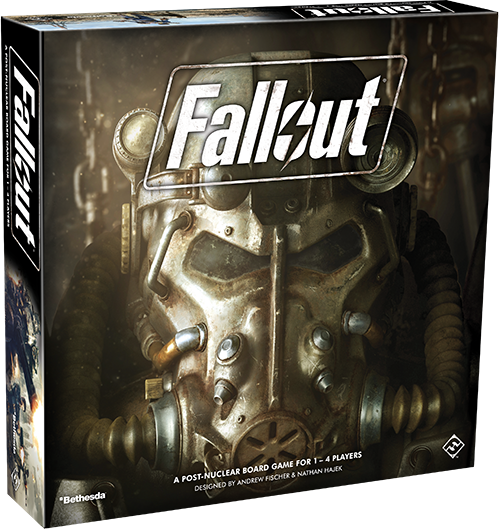 Pick up your copy of Fallout (ZX02) at your local retailer today! 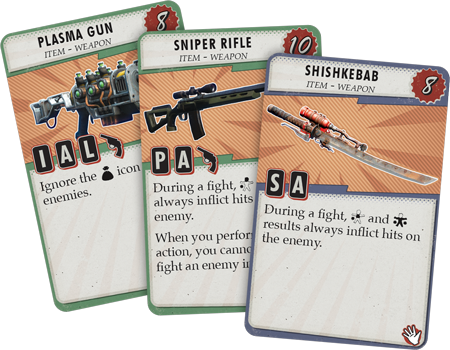 Whether you’re more of a Lone Wanderer or a Local Leader, the captivating, Fallout will allow up to four players to take on the run-down remains of the world, making choices, acquiring loot, battling bad guys, and leveling up their survivors. ©2017 Bethesda Softworks, a ZeniMax Media company. All Rights Reserved.